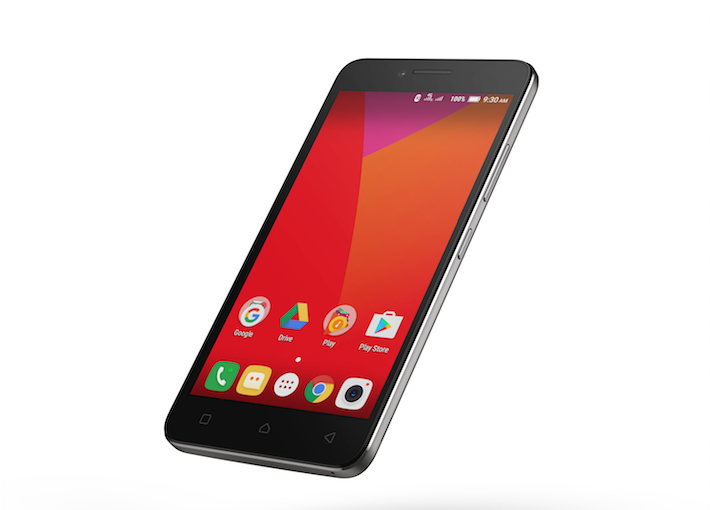 CREO Mark 1 doesn’t have the latest Android OS, i.e. 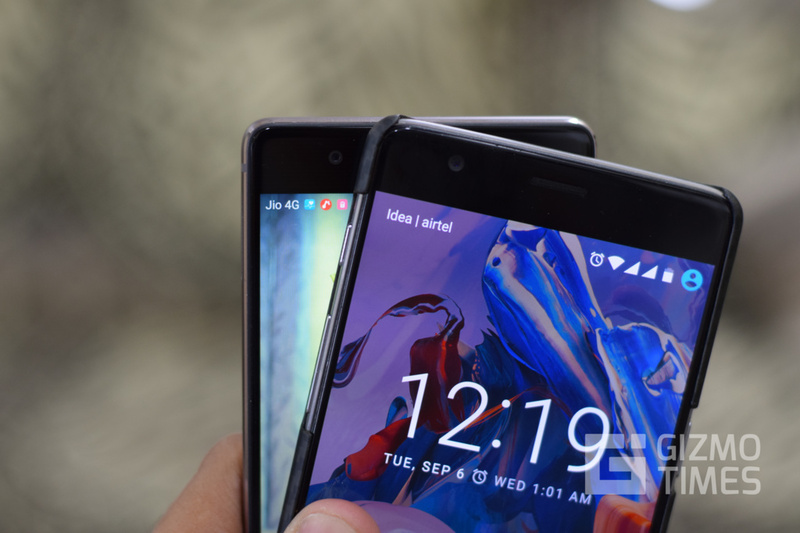 Android Marshmallow, and it is the Android 5.1 Lollipop OS version, but you aren’t looking at the stock Android here. 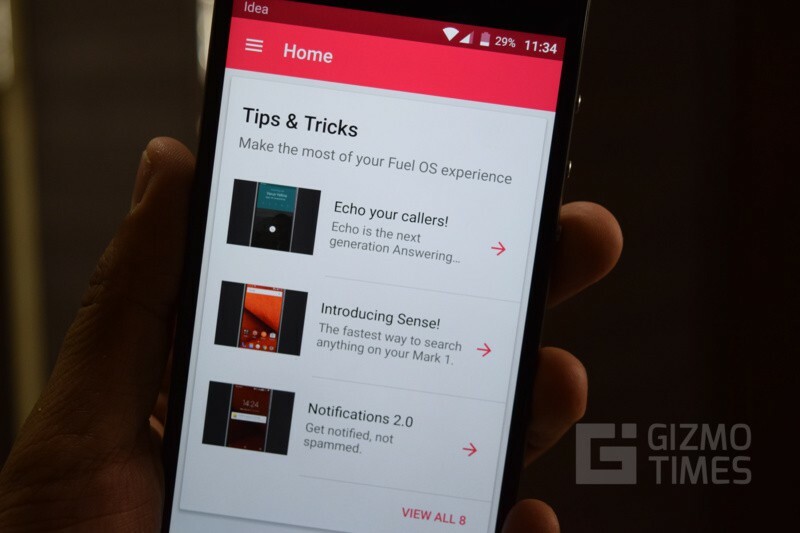 Named as Fuel OS, this still resembles stock Android but has obvious differences from it, and there are features one might be able to use and make the usage experience better. We take a deep dive into the OS to let you know what all is included, and what would you get as a user, when you buy a new Creo Mark 1. 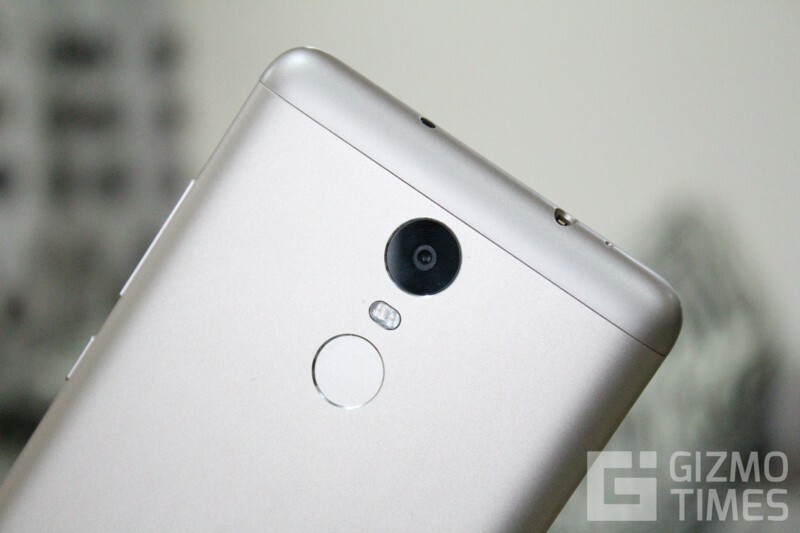 Also, check out the Creo Mark 1 hands-on. 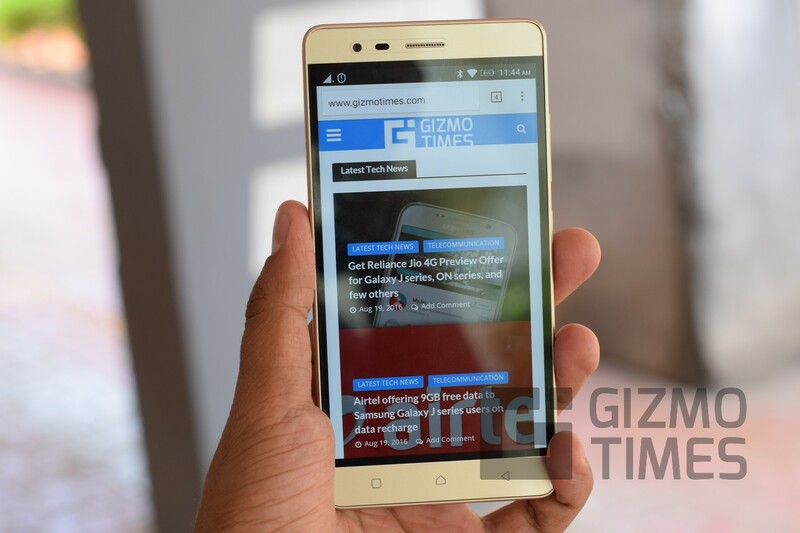 While talking to the CEO of Creo, Sai Srinivas, I heard the phrase twice “We are going to bring the stockiest of the Android, so the user gets to know the potential of Android”. 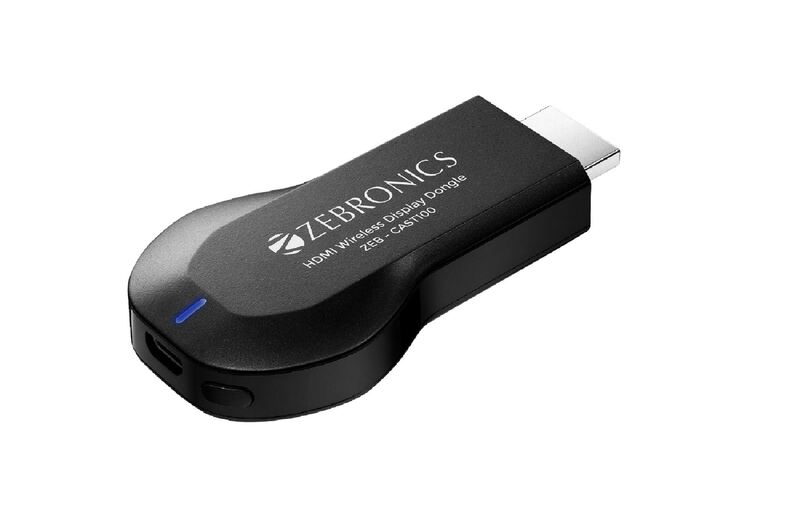 That is what we see here, except for the obvious addition of the features that are going to be the core part of experience driving interface in the Creo devices. “We want to contribute to Android, and want to see users helping us with it by suggesting what are the features they want to see on the phone”, Sai Srinivas said, and we already are seeing that as an option for the users to suggest any feature that they would want to see in the coming days. Even better, if the developer team of Creo likes the suggestion, they’d credit the user when they introduce the feature in the OS. But what is already packed into the device? Here’s what we see as the newly introduced features in the Mark 1. Though it might sound like any other app that provides remote controls and help locate the smartphone if it is lost, the best part about this app is that the core details of the device don’t get lost even if someone else does a factory reset of the data. 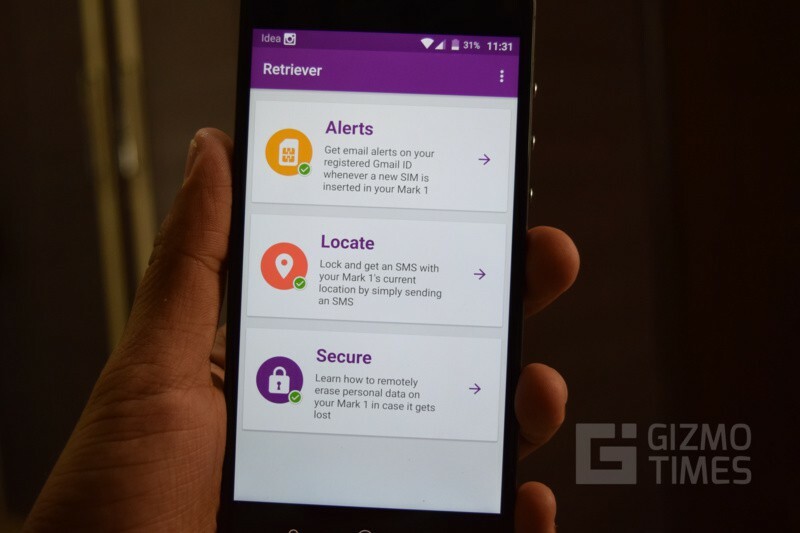 Here are the three major functions that the Retriever app can do. 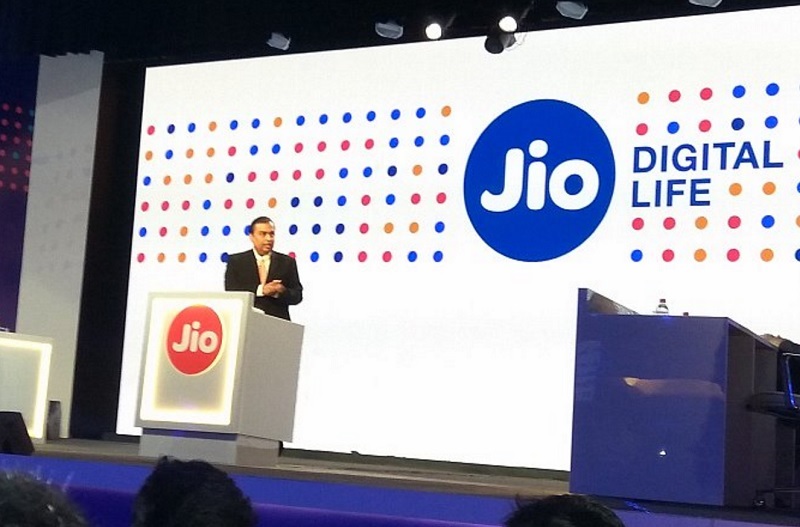 Out of the three, the first and third will require data network to be active. 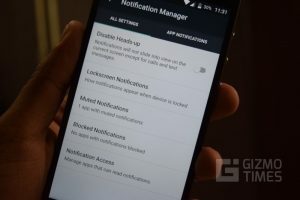 Because, the secure feature works with Android Device Manager from Google, and the email alerts uses Gmail, thus sending an email needs the Internet to be active. Here’s how the Locate function works – Once someone inserts a new SIM into the phone, you will receive the SMS about the same. 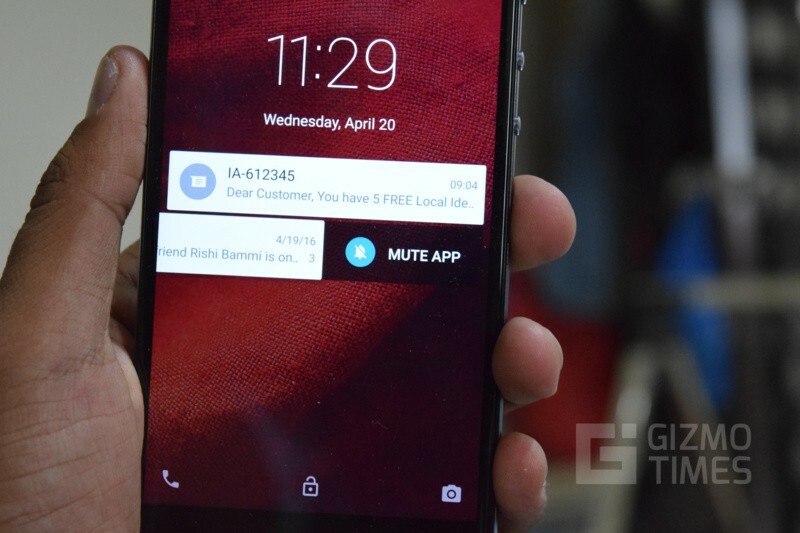 You can reply back to the same number with certain text to find the location, or lock the phone, or even start ringing a siren on the device along with the display of owner information on the lock screen. Send Find to your Mark 1 and you will get an SMS back with the current location of the Mark 1. Sense is a useful feature for someone who doesn’t want to waste time searching for something by going deep into the apps or settings. What all can be searched through in the Sense feature? 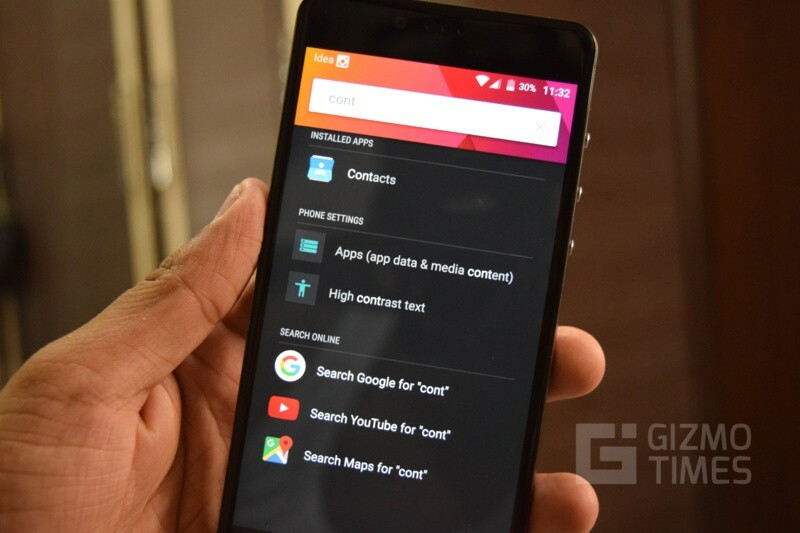 The results listed are shown in categories, where you see different results under Apps, Phone Settings, Messages, Contacts, and then a direct search option for Google, YouTube, and Maps. Echo is something like an answering machine for the Mark 1, and whenever you are busy or away, instead of missing the call, you will receive voice messages from the caller. If you are away and don’t attend the call for 30 seconds, Echo will receive the message for you. 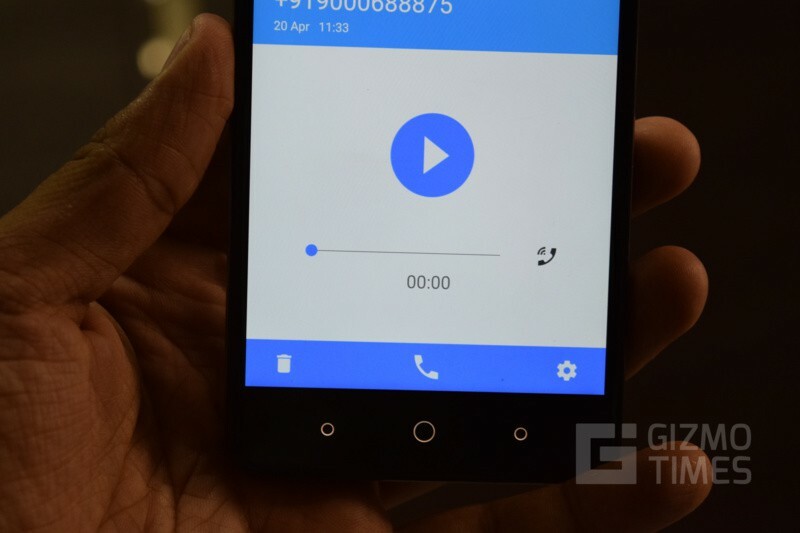 If you are not away but won’t be able to take the call, swipe up the mic icon or double press the power button of the phone. 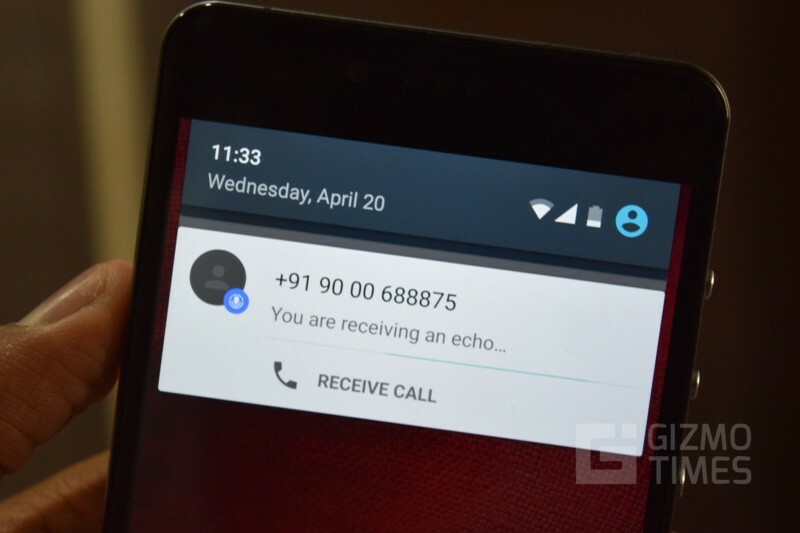 What will the caller hear when you activate the Echo feature when they are calling? There is a standard message, but you can go to the phone menu and tap on Echo Settings to personalize the welcome message for callers. A simple swipe helps manage notifications on the device. 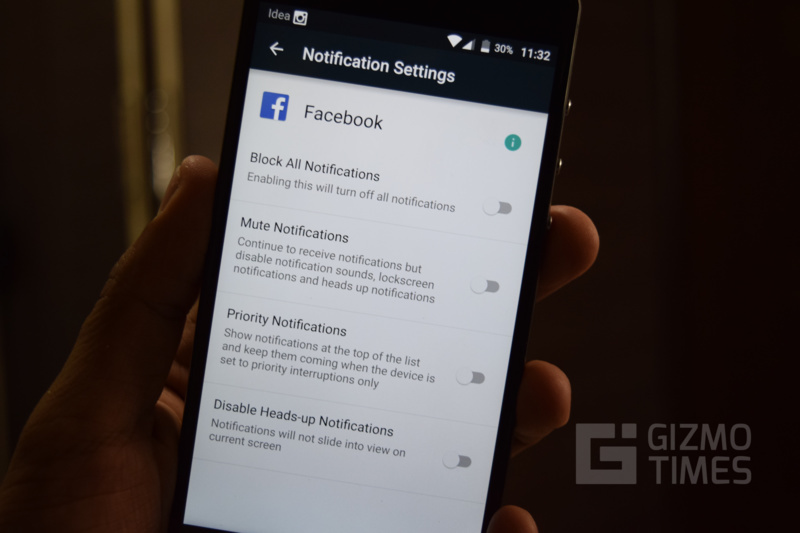 The user can choose to mute or block notifications from particular apps. To Mute or Block the notifications, you need to swipe the notification slowly to the right or left, and you will see the option to tap. Swiping left or right slowly will give you the option to mute the app. 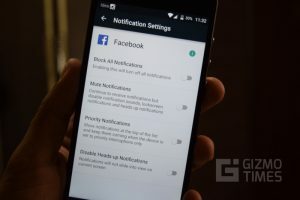 To handle all notifications and apps in a better way, you can do that by going to Settings > Notifications. 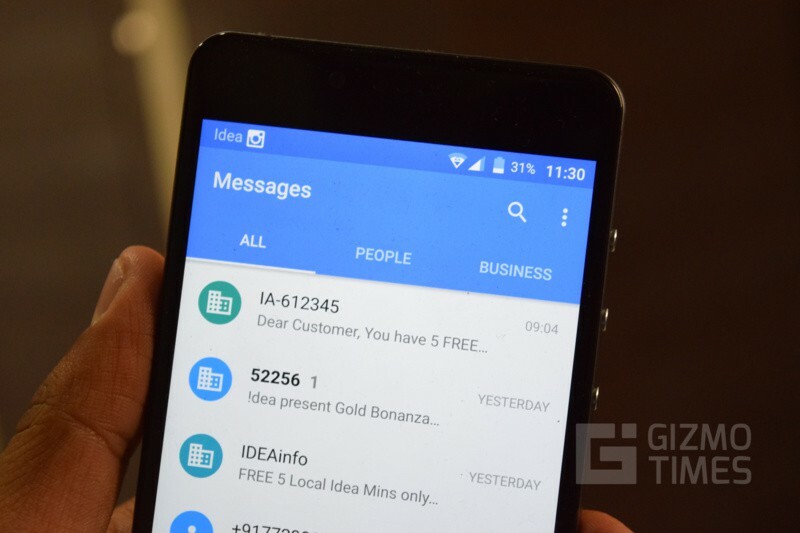 In the Xiaomi smartphones, MIUI separates normal SMS from the Notification SMS that is sent by the companies. In CREO Mark 1, it is taken to a further level where you see SMS’es from People and Businesses, and the software is written to intelligently detect the spam messages. Spam messages aren’t shown at all unless you check for them in the separate hidden folder. Also, you can help let the device know whether the SMS you are reading is a spam one so that such SMSes in the future are taken care of. Not many of them but the Mark 1 has a few gesture features that could come to good use. 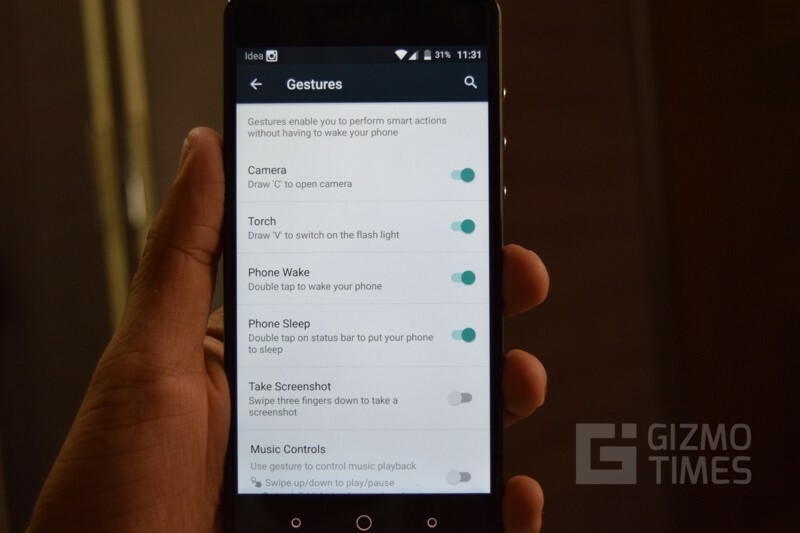 There are some Music gesture controls included as well. All these gestures can be toggled by going to Settings > Gestures. While you have two SIM cards installed on the device, the Dual Max feature helps you by automatically selecting the SIM on a local network as the primary one and make calls and send messages through that. Smart Forwarding feature is something where if your other SIM is unreachable or is switched off, the calls are forwarded to the active SIM that is connected to the network. 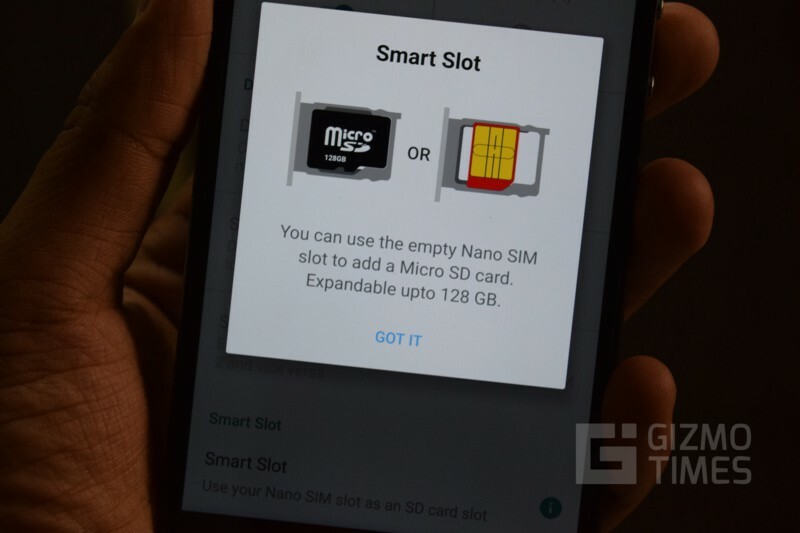 Smart Slot is not related to SIM or networking, but it is about the hybrid second SIM slot that can be used as a MicroSD card slot if you are using only one SIM in the phone. Whenever there is an OTP received on your Mark 1, it is automatically detected and copied to the clipboard and you will get a notification of the same. You can then directly paste it into the OTP field on the page where you got its option for the request. What else is included in the Interface of the Mark 1? Everything else is quite simple and standard on the Mark 1, and thankfully because this really looks like stock Android, you will find it easy to use. This list of features will be getting much bigger ever month because CREO is going to send software updates every month with some important feature getting added to the list. The 11 cool Google Assistant tricks you should try!